Zhangzhou Dynson Commercial Trade Co.,Ltd,is an industry and trade intergration company, specializing in series of foodstuffs production and exporting.Currenlty we mainly engage in fresh fruits and vegetables manufacturing and exporting,processing and distributing pomelo by-products and importing of oversea foodstuffs for domestic markets. After years of development in the line,Dynson has established a mature products supply and sales network home and abroad as well as forging a continually optimizing enterprise operating mechanism. With high quality products and sound service,Dynson has won the general trustand high appraise from our broad partners home and abroad. As a growing export oriented enterprise,Dynson adheres to the rule"Communicate by heart,Integrity,Win-win cooperation",taking customers as the first,depending on the quality of life and reputation as company fundamental.We will constantly promote professional service level and improve enterprise management chains,keeping stable operation and efficient management to provide customers with "Professional, Efficient, Highquality, Reputation " service. 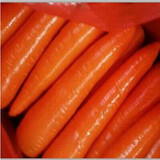 All your satisfaction is what the objective of our company, let us join hands together and gain development and mutual benefit in very future! 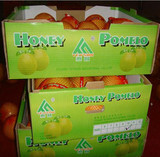 In Ming dynasty, honey pomelo is called Pinghe Pao. 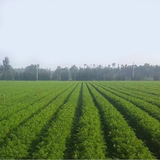 It is planted successfully by Mr.XIPU, the 8th generation of Hou mountain. Mr. XIPU was born in the 7th year of Jiajing, Ming dynasty (the year 1528). He was fond of planting fruit trees. One day in the summer of 1550, a flash flood was caused by downfall. The orchard of Mr.XIPU was destroyed by the flood. After the flood, Mr.XIPU went into his orchard and found only a pomelo tree was left. He replanted this pomelo tree. Due to the flood there were only a few fruits left in this pomelo tree. In that autumn, the fruits got mature and became very big with golden skin. Mr.Xipu peeled the pomelo and tasted, he found the flesh was transparent and shinning, with few seeds inside. It tastes as sweet as honey. That is how the name of “Honey Pomelo” first came from. Afterwards, Mr. Xipu found a new root on the damaged branch which had been covered by soil. He cut the branch and planted it. At that time, it was the method of burying the branch into the soil and break the skin of the branch that grafted pomelo trees successfully. Later, descendants of Mr.Xipu expanded the planting of Honey Pomelo in that area and its neighborhood. There is a river flow through the XI orchard in Pinghe county town, it was called GUANXI in ancient time. 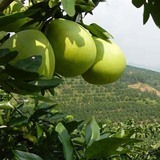 In the XI orchard, Honey Pomelo trees were planted on both side of the banks of GUANXI river. Nowadays, the brand name “GUANXI” honey pomelo is named after this river. According to the presentation of local residents, GUANXI river was at that time the important way to transport honey pomelo and other goods. Pomelo is considered as “fruit of reunion”by Chinese people, it is especially liked by Chinese residing abroad. Pomelo is very storable due to its thick skin, thus is also famous as “natural canned food”.